Rich Johnson is Chief Executive Officer and co-founder of Spark Ventures. He was born and spent his early childhood in Japan and California, prior to moving to northern Illinois. Rich received a BA in Communications and MA both from Trinity International University. His work experience has included business marketing and consulting, leadership and management for several nonprofits, and higher education administration. Rich is currently serving as an advisor and board member with several Chicago-area nonprofits and social enterprises. In her professional life, Lisa is the owner of Lisa Ruble Murphy, LLC, a mediation firm specializing in family law mediation. Previously, Lisa served as a judge of the Circuit Court of Cook County in the Domestic Relations Division from December, 1994 to December, 2015 handling divorce and custody cases. Prior to joining the judiciary, Lisa served as Deputy Chief Administrative Officer of the Committee on Finance of Chicago City Council, chaired by Alderman Edward M. Burke, from 1989-1994 and as a staff attorney from 1984-1987. During her years with the Committee on Finance, Lisa was responsible for drafting legislation, operations of the Committee and redistricting. Lisa also worked as an attorney with the law firm of Altheimer & Gray from 1987-1989 concentrating in government, zoning and real estate law. During the past twenty years, Lisa has been involved in several not-for- profit organizations. For over 13 years, Lisa was very involved in the Frances Xavier Warde School, an independent Catholic elementary school in downtown Chicago. Lisa served on the FXW Parent Group Advisory Board, the FXW Board of Trustees and The Children At The Crossroads Foundation Board. During her tenure as Chair of the FXW Board of Trustees, Lisa led the FXW community through its first strategic planning process and implementing a new governance model. In addition to her work with FXW, Lisa also served as a member of the board of trustees of The Hope Institute Foundation. Lisa graduated from Smith College in 1980 with a bachelor of arts in government. Lisa graduated, with honors, from Chicago Kent College of Law in 1984. Lisa lives on the Near West Side of Chicago and has two sons, Morgan and Brendan. Lisa enjoys golf, cooking, entertaining and travel. Rob Hon graduated with a bachelor of science in marketing, University of Southern Indiana and later attended Universidad Autonama de Guadalajara in Guadalajara, Mexico for an independent study on the North American Free Trade Agreement (NAFTA). Rob has 21 years of experience providing wealth management services to high-net- worth and ultra-high- net-worth individuals, family offices and corporate clients. He has served as Vice President of Investments for Wayne Hummer Investments and Credit Suisse Investments, LLC, both in Chicago. He currently serves as a Managing Director – Investments at Wells Fargo Advisors and is currently the lead portfolio manager with his group. Rob has also worked very closely with a number of local and regional organizations including Vanderburgh County Humane Society, Buddies Project, and Spark Ventures. He also serves as a scout leader for his son’s cub scouts. Rob and his wife, Stephanie, have 5 children; Catrina, Cassandra, Derek, Camden and Alexandria. While the three older children are grown and live on their own, he and his wife reside in Wilmette, Illinois, with their twins and beloved lab, Kya. They spend their weekends hiking, biking, skiing, camping and enjoying the outdoors. Mike grew up in Decatur, Illinois, and moved to Los Angeles in 1996 to attend The University of Southern California. Upon graduation, he worked for a defense contractor before moving to Washington, DC to attend The George Washington University Law School. After receiving his JD, Mike returned to the Midwest to practice law at the Chicago office of Katten Muchin Rosenman LLP. Now a litigation partner at Katten, Mike focuses his practice on disputes related to the financial services industry, state and federal securities laws, regulatory and internal investigations, white collar defense and anti-fraud counseling. As a result of his work, Mike was recognized as a Rising Star by The National Law Journal. He also serves as a Co-Chair of Katten’s summer associate program and is an active participant in the firm’s partnership with the Chicago public school, Jose de Diego Community Academy, called “Lawyers in the Classroom.” In addition, Mike serves as a mentor through the Leadership Council on Legal Diversity. Prior to joining Katten, Mike served as a law clerk for the Federal Trade Commission’s Bureau of Consumer Protection in Washington, DC and as Public Interest Law Initiative Fellow at the Legal Aid Bureau in Chicago. Mike lives in Chicago’s Lakeview neighborhood with his wife and two children. Anne Wortel (née Beckwith) was born and raised in the Chicagoland area. She attended Lehigh University in Pennsylvania where she received a BA in Psychology. She returned to Chicago after college and worked as a Media Buyer and Manager in Advertising for 10 years. Always having an interest in art and design, she attended The Harrington Institute of Interior Design while working and earned her Associates Degree. She lives in Chicago with her husband, Bill, and their two children, Ryan and Clara (both UpBeat students). She is a stay-at-home mother, but works as a Residential Interior Designer when the kids are in school. 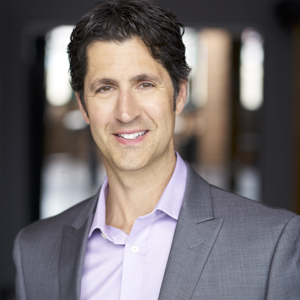 Jeff grew up in Eugene, Oregon and moved to the Chicago area in 1995 to attend Northwestern University, and graduated in 1999 with a BA in history and economics. He has worked in the commercial real estate industry for 17 years and is currently Senior Vice President of Prime, a Chicago-based real estate investment and development firm. Jeff has been responsible for asset/project management, overseeing finance, legal, property operations, capital transactions, and business plan-related oversight of design and construction. Jeff has helped develop or re-develop several high profile Chicago assets including the 115-unit luxury condo building at 10 East Delaware, the 610-key JW Marriott Chicago and the 381-key Residence Inn Marriott, and worked on a variety of other projects in Chicago and around the country. At Huron Jeff works with client teams to design and execute corporate and business unit problem-solving strategies. His primary areas of focus center on the use of technology to drive profitable growth, enhance business processes, and optimize performance measurement and management. He has more than 20 years of experience in the technical and strategic consulting domain with a concentration in the Office of Finance and complex transformation initiatives. Prior to joining Huron, Jeff has held leadership and project management roles at several companies, including Hyperion (now part of Oracle), Ernst & Young, and Deloitte Consulting. Jeff has broad experience with leading both management consulting and technical implementation initiatives for a variety of Fortune 500 companies. Enrique Lopez is principal of Lopez & Company, CPAs. Lopez & Company represents various businesses ranging in size from start-ups to mature businesses spanning various industry sectors both domestically and internationally. Prior to forming Lopez & Company in 2004, Lopez was the chief financial officer of Air Angels, Inc., a provider of medical transports by air and ground in Illinois and Indiana. Lopez was instrumental in completing private placements and in overseeing the financial and operational restructure of the corporation. Lopez was also a tax consultant in the international tax division of Deloitte. Lopez, a CPA, earned a bachelor of science degree in accounting from the University of Illinois at Chicago and a master of science degree in taxation from DePaul University. Lopez serves and has served on the board of private corporations as well as not-for-profit organizations. He is a member of the AICPA and Illinois CPA Society. Joe DeLuca is an Engineering Product Development Executive that has spent the last 25 years designing innovative consumer products for Fortune 500 companies. He has a deep appreciation for product design and has launched hundreds of products that enhance the lives of consumers; many of which have won innovation awards. Joe is also an accomplished musician. He began playing drums at 9 years old and played in his father’s wedding band through-out grade school, high school and college. During college and shortly thereafter, he played drums in several big bands, smaller jazz combos and rock bands. Although not playing music any longer, music is still Joe’s passion, a passion he is excited to share with the UpBeat Music and Arts community. Joe currently resides in Oswego, IL with his amazing wife and his two inspirational young sons. At any point in time, you could find them dancing to their favorite country songs or playing air guitar to their favorite rock bands in the living room. Joe’s ultimate goal is to be a positive influence on people and to leave this world in a little better shape than he found it, one beat at a time.